Dubrovnik itself is Europe’s hot destination, but when you add premium accommodation with fantastic views into the mix, it creates a holiday that you’ll never forget. Enjoy stunning views offered by the city walls and forts, explore city’s hidden gems or visit locations used for filming world known “Game of Thrones”, “Star Wars” and “Robin Hood”. 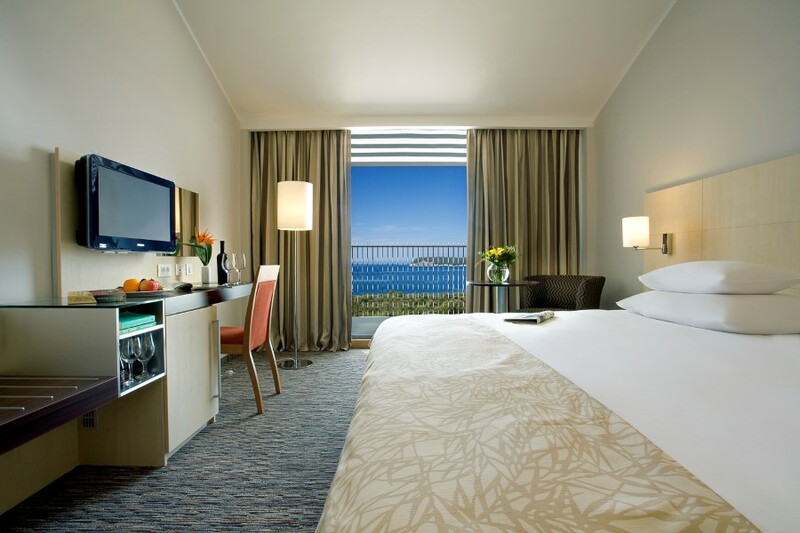 Multiple award winning Valamar Lacroma Dubrovnik Hotel is located on the tranquil green Babin kuk peninsula, surrounded by a whole string of pebble beaches, yet still close to the Old Town. With its stylish accommodation, dazzling wellness features, mouth-watering gastro choices and a whole range of other services to choose from, it will provide you with the perfect sanctuary after a day of exploring the city. Don’t miss your chance to win a seven-night stay for two at the Valamar Lacroma Dubrovnik Hotel 4* in a double room, including free economy tickets on Croatia Airlines operating flights to Dubrovnik, taxes and one piece of hold baggage per person (up to 23kg, please read baggage information here), transfers to and from the airport in Dubrovnik, daily buffet breakfast and dinner, free spa entrance with one partial body massage per person and Dubrovnik walking tour with professional guide. The lucky winner will be able to use the prize between May 1st 2019 and April 30th 2020 (excluding July and August 2019). Prior reservation is necessary, at least a month in advance, dates based on hotel openness and availability. Valamar is also offering all Silversurfers readers up to 15% off on their Dubrovnik vacation at hotel Valamar Lacroma Dubrovnik with promo code SILVER15. For more info & bookings click here. Looks amazing. Have been told that Croatia is a fantastic country to visit and would love the chance to find out more. Looks a stunning place, hope I have time to pack my case! I have not been to Croatia before, so would love to win. Good luck everyone, would love to get away! I have never been to Croatia, so would love to go and experience a new country. I have always wanted to visit here! it's the stuff of dreams! Croatia is a country I have always wanted to visit ever since my friend sent me a dvd of the Plitvice Lakes. Looks an awesome place. Would just love to win this prize to realise my dream! To visit Dubrovnik is on my bucket list so it would be wonderful to win. Croatia is on my bucket list so fingers crossed. I don’t want 15% off using the promo code SILVER15! Would be amazing to go, our golden wedding anniversary this year. Would love to go back after 44yrs!! It was beautiful then and looks just as beautiful now! Would love to win ,to celebrate our 75thBirthdays. I have always wanted to go to Croatia but due to my divorce☹️ cannot afford it. Would be amazing to win as most definitely need the break. Thank you for giving me the opportunity to maybe win. Fingers crossed. Looks absolutely beautiful would be lovely to celebrate our 43rd wedding anniversary here . Why do you need a date of birth to enter a prize draw.? This is personal information. The city walls are good but expensive, and it can be quite hot. Thank you for the entry opportunity. 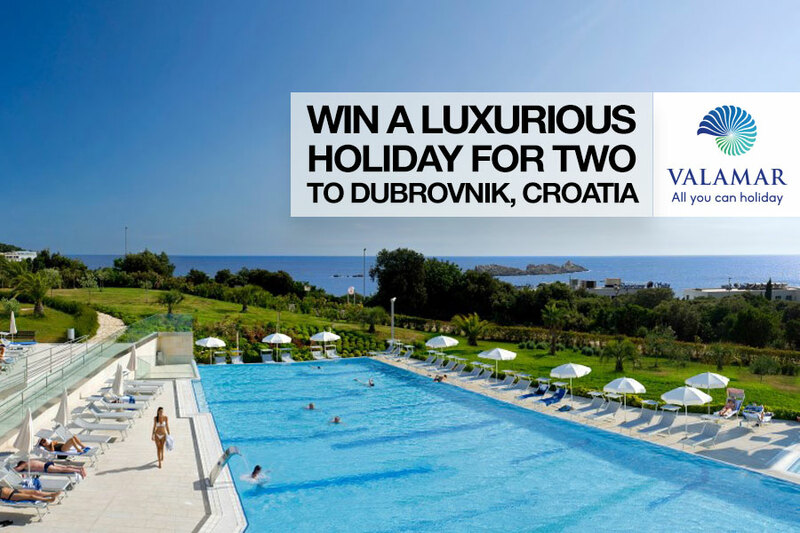 Never been to Croatia, it would be amazing to win this prize draw. This would be fabulous ! What a fantastic prize, so in need of a holiday. I have not been here since 1970. It would be good to see the changes since then. It would be my dream come true. What a pick-me-up after my husband has suffered 3 years of health problems. What a beautiful prize this would be! We spent two weeks on the island of Brac, a 50 minute ferry ride from Split,which we really enjoyed. Love to go back to Croatia some time. Only been to North CroatIa. Fascinated by the walled city of Dubrovnice. Have wanted to visit for a long time. Have never been there. Could be interesting. Went to Croatia about 32years ago when it was Yugoslavia. Beautiful, would love to go again. Would love to visit Croatia, it looks a fabulous country! This sounds lovely, always wanted to get there, need a holiday but money short at the moment. Stunning place... would love to go! Would love to visit Dubrovnik. Great opportunity to join silversurfers. Holiday to Druvonick is where I've always dreamt of visiting. Been once and would love to return. Great keeping upto date with silversurfers. Good deals on holidays. If I had a bucket list visiting Dubrovnik would be at the top of my list . Would love to go to Dubrovnik. An amazing holiday destination and a truly wonderful area to spend some time exploring and relaxing. Would love to create some amazing memories in wonderful Croatia. Haven't travelled since my husband died so would love to take my son who has been a big support. Went on honeymoon here many moons ago.Love to go back . Dubrovnik looks fantastic, what a break it would be! What a fabulous prize to win. I would love to take my husband on this holiday after he recovers from his op in August! The perfect holiday prize. Here's hoping for a chance of winning. Another great prize! Thank you. Another great competition! Someone has to win! Too beautiful to be believed ..so it has to be seen to be so ! This country looks so beautiful, I would love to visit. Pick me!! Croatia is a beautiful place and Dubrovnik is fascinating. I would love to see it again. Fabulous .. I've never been to Croatia but would love to do so. Overland journey to Greece 1968!! Dubrovnik (still Yugoslavia then) was a wonderful travellers rest and oasis of luxury...would love to re-visit! I've never been to Croatia but I'm told it's the place to be....get me there! Went to Dubrovnik late 1980s and loved it and would be great to go again. Never been to Croatia so certainly would welcome this superb holiday !! I soooo would like to visit Croatia! It is way up on my bucket list ever since I learnt that it is a beautiful, affordable destination and with a gastronomy to die for! Another fantastic prize to a bucket list destination. Looks gorgeous! Keeping my fingers crossed. Usually holiday in the UK, but would love this opportunity to visit the well known City of Dubrovnik, will look forward to it. Would love to visit Dubrovnik, I've heard it's a lovely City. 84 and 88 April married 62 years would make a lovely honeymoon for the one we were not able to have. Looking forward to seeing if I can win this escape to Croatia. Last visited 35 years ago when it was part of Yugoslavia so it would be good to see it again and the changes that have taken place. Last time we visited Croatia it was two weeks before the fighting began and although we had a lovely holiday in beautiful surroundings it was a little quiet. We have been considering a return but now my husband has been diagnosed with Alzheimer's I want to visit sooner rather than later. It is more true now to 'don't put off until tomorrow what you can do today'. Fantastic place to visit . Fingers crossed. I’ve always wanted to visit Dubrovnik it sounds like a fab place! This has inspired me to investigate this destination! What an amazing prize ! I would love to win this holiday as my daughter needs a break after going through a very tough time....fingers crossed. 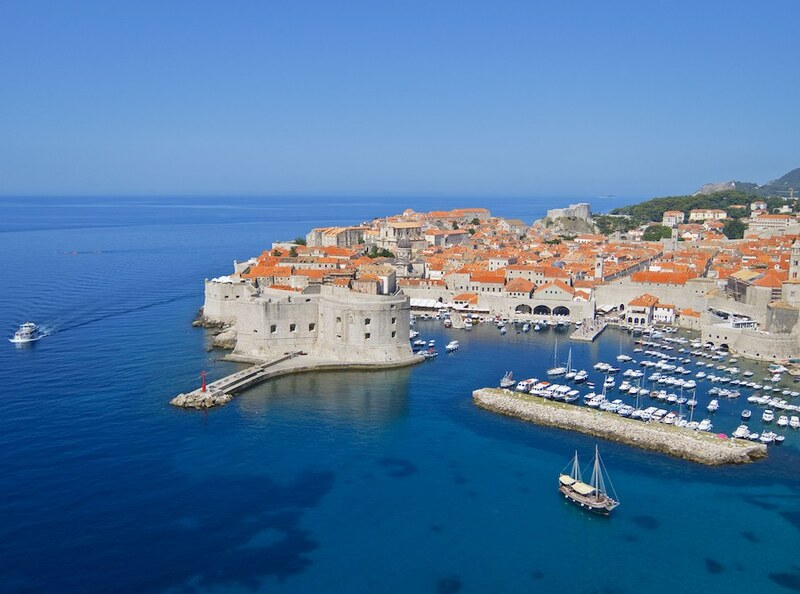 Dubrovnik is definitely on my bucket list, would just love to win this trip! Looks a beautiful city, never had the opportunity to visit so far. As a World Heritage Site it is worth seeing & spending time there. My daughter went to this beautiful place for her honeymoon. I was quite jealous! Wow, the holiday sounds lovely. Used to work with a Croatian colleague who always said we should visit! After 3 years of quite serious health problems, it would be fantastic to be able to go away together with no hassle. Croatia has always been on my “to do” list. Fingers crossed. Absolutely love Croatia and would love to go back. Winning this prize would be special. Great prize to a Great Country. Fingers crossed that I will win this wonderful prize. It looks just lovely. Would love to visit Croatia, never been before, what an experience. I spent a day in Dubrovnic a few years ago, would love to spend more time there. Beautiful place! This would be amazing! Beautiful area ...last visited 25 years ago...would love to go back. We’ve never been there. This could be our chance. Looks absolutely beautiful, would love to visit. Visited this area once before when on a cruise and thought the trip was too short. There was soo much to see we would like to go back again if we ever got the chance. Visited Dubrovnik on a very short visit last year - need to explore it in more depth and would love the chance to celebrate my 65th birthday there. Love Croatia, what a win this would be, I and my friend would be going Yippee! Croatia is special to me. A visit here is on my bucket list but I have not managed to get there yet. Never been to Croatia. Sounds like a stunning country with beautiful people! Please, Silversurfers, try not to use the American word 'vacation' when you mean holiday! Would love to surprise my lovely husband with this holiday. It looks beautiful and I look forward to seeing more of Dubrovnik. What a fabulous prize! Never been to Croatia....fingers crossed! WHAT A WONDERFUL HOLIDAY TO WIN. A TIME OF EXCELLENCE IN THE SUN. Croatia is one of the prettiest countries to visit. Would love the chance to go again. We have visited the Istrian Penisula and would love to visit the rest of Croatia. It is my husbands 70th Birthday in September and this would be a lovely surprise if I was to win. I have wanted to go Croatia, but have never made it, it looks like a really beautiful place. I could sure use a break! Would love to win this break - it is on my bucket list of places to visit. Somewhere I would love to go. Never been to Croatia, definitely somewhere I would like to go. Fingers crossed. Have always wanted to go here. Another destination on my bucket list! Always fancied a trip here but never got around to it. I've had many recommendations so would love this opportunity to visit. What a fantastic prize, would love to win this as a second honeymoon, as I spent the complete first one ill and hospitalised in America, would be a wonderful second chance. Sounds like a wonderful place somewhere we have not yet visited. Would love the opportunity to write a review. Wish me luck. Thank you. We need a rest after granddaughter sitting while mummy is having a baby in hospital! Fingers crossed! My 45th wedding anniversary this year. I would love to see this beautiful country. We would love to win this. Got to be in it to win it . Well, can I please win this trip? Always wanted to visit Croatia. Have never been so this would be amazing ! Fingers crossed ! Awesome opportunity to enjoy a really beautiful location. I would love to visit the Pearl of the Adriatic. I would love to go to Dubrovnik with this prize, it is such a lovely place by everyone who’s been there, here’s hoping!! Would love to visit Dubrovnik again. We honeymooned there 29 years ago. This would be a Fabulous prize as this year my husband and I are celebrating our Ruby Wedding Anniversary. Would love to visit Dubrovnik again! My father was Croatian,i still have family in Croatia,i would love to win this prize for us to go and visit them.G.L.A. This is a wonderful prize and I would love to win it and visit this amazing country. Looking forward staying in Dubrovnik in May! Good luck to everyone who enters this competition, great prize for someone to enjoy. Went to Croatia two years ago. Loved it and would love to return there. le. I would love to visit Croatia so let's hope I'm lucky.. I have never been to Croatia, I would love to go it would be a great present for my 70 Birthday in May. Would love to have a nice break in the sun and this could be the ideal place. It would be lovely to visit such a beautiful place. It looks gorgeous there, I would love to visit as photography is one of my hobbies and there looks to be many opportunities! I have never been to Croatia, it’s a country I would love to visit. Looks a lovely country. One which I have not been to. This would be a very exciting holiday. Never been to Croatia. On my bucket list. On my list of places to visit. Would love a holiday in Croatia! Who wouldn't like to win a holiday!! Great choice by Silversurfers. Good luck everyone. Last time I stayed in that part of the world it was called Yugoslavia. My sister and I had a graduation present from our Dad for a holiday. We wanted somewhere warm and not very commercial and we found a hotel in a place called Tivat which is not far from Dubrovnik. Had a great holiday. On our bucket list which is getting longer! so would be great go tick one off now and then . One of the places I have never been to. I have always wanted to visit Dubrovnik. Been on my Bucket List for years. I am worth it ! This holiday would be great as I have a Special Birthday coming up ! I am worth it ! This holiday would be great as I have a. Dry Special Birthday coming up ! A great place to visit. I have always wanted to visit Dubrovnik. Rebuilt after the Balkans War and looking wonderful! I hope I win, it would be a dream come true. We met in Dubrovnik 53 years ago and have always wanted to go back. Have heard from several reliable sources that Chroatia is a beautiful country. Would like to see it. I would love to be able to say thank you to my wonderful wife for her patience and caring in looking after me during my recent illness. I have never been to Croatia and have been told it is a beautiful country and would love to surprise my husband by telling him I have won this holiday. What a way to celebrate my 65th birthday and retirement if I won. Love to enter such an exciting place to go but very sorry not able to fly. I've never been to Dubrovnik. would love the chance it sounds wonderful. Just joined Silversurfers. Looking forward to articles. Having enjoyed a wonderful holiday in Slovenia a few years ago, I'd love to explore more of eastern Europe. Never been to Croatia and would love the opportunity to visit. Absolutely beautiful country...spent only about a day and a half there on a European road trip and fell in love with the people and countryside. This would be so worth winning. Have been told it’s a fantastic place to visit would love to win this and stay at the Valamar hotel. In 1980 we went on honeymoon to Dubrovnik . Would love to revisit it to see how much it has changed. Super prize, good luck everyone. I have not taken my wife to holiday in Europe for a long time and never to Croatia. I am sure she would love it. Croatia is on my bucket list, would love to go there, fingers crossed! This would be lovely as is Croatia. Croatia, beautiful country with amazing coast lines. We are aiming to do a tour to Croatia by motorcycle from Birmi gham U. K.
Was there on our on our honeymoon thirty five years ago! Never been to Croatia but I would dearly love to go and experience their culture. It,s on my bucket list, can’t wait to see the beautiful country. We went to Dubrovnik many years ago when Croatia was still part of Yugoslavia. The children & I had the most wonderful holiday...I'd so love to visit this beautiful city again. This would be such a great holiday. Croatia is on my "to do" list ! Never been to this part of our world but would like to. Love Croatia. Have travelled to Dubrovnik in motorhome. A really beautiful country and friendly people. Love Croatia. Never been to Dubrovnik though. Ive never been here before but would love the chance of wining to explore. Well I can only wait and keep everything crossed that I win this fantastic holiday! We visited Croatia two years ago, and didn't have enough time to explore this beautiful area, would love to win this holiday to give us the chance to go back. Dubrovnik looks a lovely place and I have heard really good comments about it. To win the holiday would be brilliant. Never been to Croatia but looks stunning! Our holiday to Dubrovnik was cut short last year as my husband ended up in Dubrovnik hospital for 6 days with pneumonia. A stress free visit would be lovely. Fingers crossed I win. The lady I work with comes from Croatia and has told me many times what a wonderful place it is. I want to see for myself! No 1 on my bucket list! I had never considered Croatia as a holiday destination for me but several people I know have visited and sing its praises. Visited on a day cruise, need to return ! I have never been to Croatia but it looks a beautiful place. I shall keep my fingers crossed! Would love to have the chance to see Dubrovnik again it’s such a beautiful, cultural city. Have always wanted to visit this country. We have never been to Dubrovnik; it looks lovely on all the pictures seen. I love Croatia, it is so beautiful. Yes please,, not been here before. I have never been to Croatia, really would like to go this year. What a super holiday this would be. Blue skies ,blue sea, beautiful country. Perhaps not just a dream! Visited Croatia before and would love to go again. Beautiful place. Great good. Great holiday. Would love to win this holiday. Only had a 1 day look around it but would love to spend longer there. Good luck to eveyone. worth a try for a fab holiday ! Have not been to Croatia, this would be a perfect birthday present . I would love to be able to take my best friend on holiday. She copes with Type 1 diabetes and rheumatoid arthritis and recently has been left almost penniless because of her pension status. Would love to go to Croatia. Fingers crossed everyone ,good luck. A beautiful country that I would love to visit. I could really use a holiday I’ve been so I’ll and my husband deserves it too for having to put up with it and fetch and carry. This holiday is just what I wish for, after a fraught few months, the luxury and scenery would be just what the doctor ordered!!! Wow ! What a fabulous holiday. Who wouldn't want to win this prize. Keeping my fingers well and truly crossed. Never been so would love to visit with hubby! Honeymooned there in 1989 - wonderful city! Never been. Would love to visit. I visited this area30 years ago and always wanted to return one day. Beautiful scenery and delicious food. Health has been a trying time, could really help! Had a very few hours in Dubrovnik last year as cruising the Med, would love to go back as it is truly a beautiful city with history, culture, scenery, lovely people. Thank you for entering me in the draw. Good luck to all. I’d love the opportunity to visit this beautiful area. Sounds amazing. I would love a holiday. Beautiful part of the world, which we'd love to explore! I've heard that Croatia is very beautiful, this would be my chance to find out just how beautiful. It would be wonderful to go here. I would love a trip like this, possibly our last as we are getting to the age when airports are very tiring. Lovely prize, I've always wanted to visit Croatia. I visited Dubrovnik 46years ago. My first holiday abroad at 17. A boat, the Antika was a floating disco in the harbour. We had bought tickets to see Marcel Marceaux but he had to cancel the performance. All this when it was Yugoslavia. I'd love to see and feel what it is like now . We went to Croatia on our honeymoon 37 years ago and as it is our 60th birthday this year, what better way then to have a second honeymoon in the same country! I have never been but since turning 60 i want to see as many countries as possible. 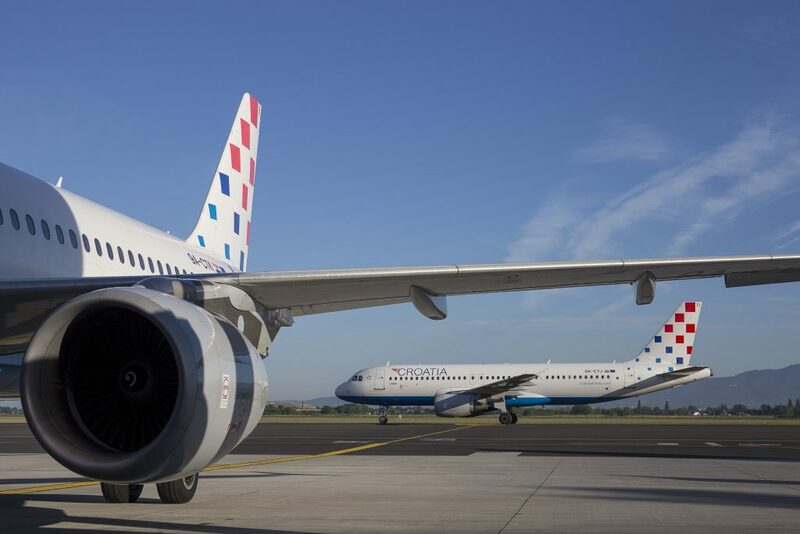 only saying last week we have never been to Croatia... ! I’ve wanted to go to Croatia for so long! This hotel looks amazing! This would be an amazing trip to win! Was there many years ago when it was still Yugoslavia. Stunningly beautiful. Hope the winner has a wonderful time. Would love to go back to this stunning city! Not quite what I wrote!!!!! Wow what a fantastic prize ,fingers crossed .Yes please and thank you! I wish ! I visited Croatia once about 30 years ago, would love to see how it is now. I would love the chance to experience Croatia! Europe is another world away once we leave the EU, so it's like going to another world on our doorstep. Loving this and a seasoned holiday maker if I don't win then I'll go anyway. Haven’t been to Dubrovnik since 1985! Never been to Croatia so would love to visit. A new adventure awaits, just in time for our 30th wedding anniversary. Somewhere different. Nice part of the world,would be great to win it. Croatia one of the few places still using their own currency. Dubrovnik is outstanding and the people so friendly. Always wanted to go here. We loved Dubrovnik but only had a few hours there on a cruise. Would really love to return and visit this lovely place again.